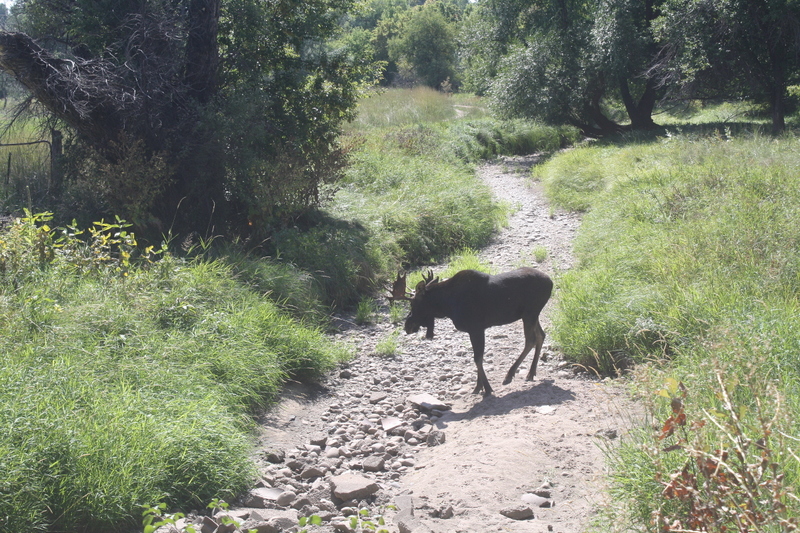 This moose has been hanging out near the Cache la Poudre schools and on Rose Brinks’ property lately. People generally think of property rights as a political or legal issue, but property rights come up as an issue fairly often when talking about historic properties. In the city of Fort Collins, the decision to landmark a property is left up to the property owners. There is only one building in town that was landmarked against the owners wishes — the old post office building on South College Ave which now houses the Fort Collins Museum of Art as well as a restaurant and some other businesses. The City Council has repeatedly made it clear that property owners should be respected in this: it is up to owners to maintain, preserve, or demolish a historic building (as long as it’s done within the land use code, of course). 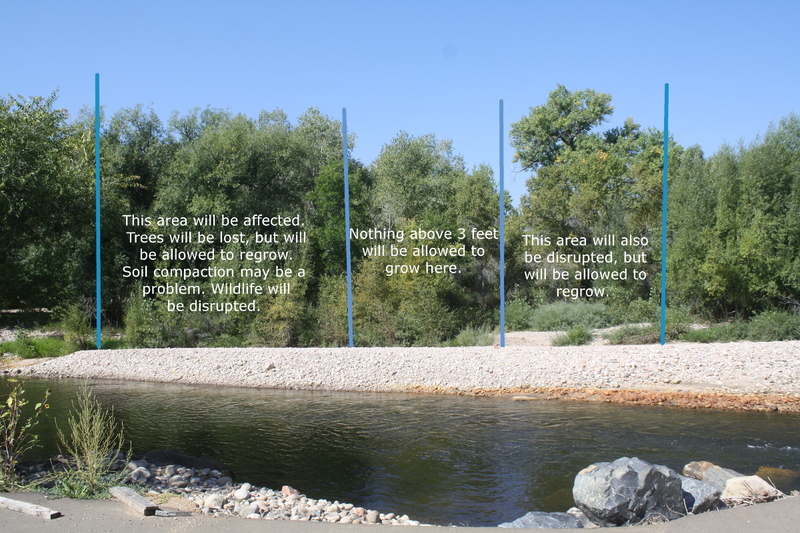 Likewise, when an municipal improvement needs to occur, such as the overflow area that the city is creating south of the Poudre river, just west of Shields, rather than invoking eminent domain, the city works as much as possible with property owners to purchase easements in a way that satisfies all parties. 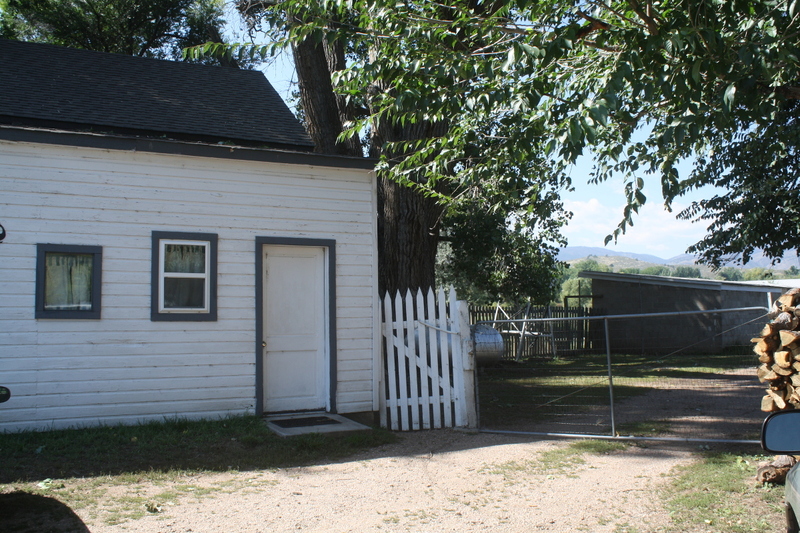 The Brinks property was included on the state of Colorado’s Endangered Places list in 2009. But sometimes it seems a property owner isn’t treated quite so fairly. Take the case of Rose Brinks and some of her neighbors who are currently trying to keep the city of Greeley from cutting a huge swath through their land. The yellow lines show the two pipelines that currently exist to carry water from the Poudre to Greeley. 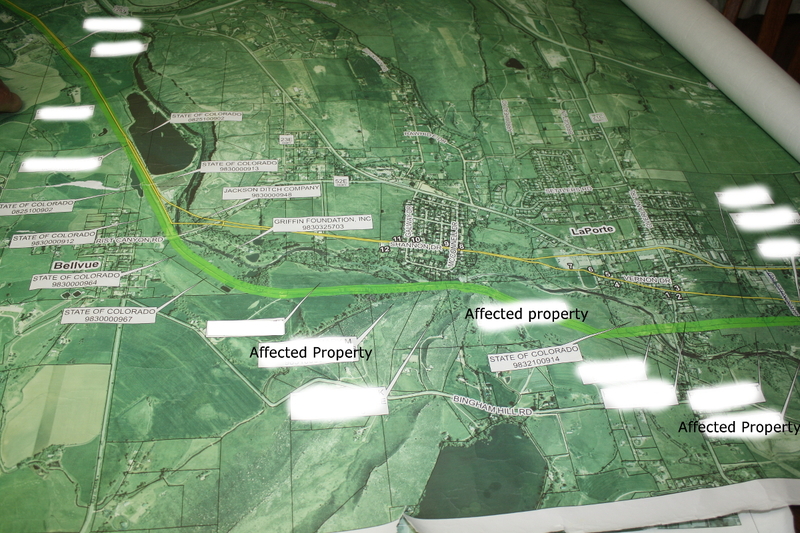 The bright green line indicates where a third pipeline would go. Despite already having two pipelines that run water from the Poudre river down to the city of Greeley, a third pipeline is in the works. Property owners were originally told that there were many routes that the pipeline could take, including simply expanding the existing pipelines. But for whatever reason, Greeley has settled on running a third pipeline through land to the south of the Poudre, near Lions open space. This photo was taken from Lions open space, looking towards the Brinks property. 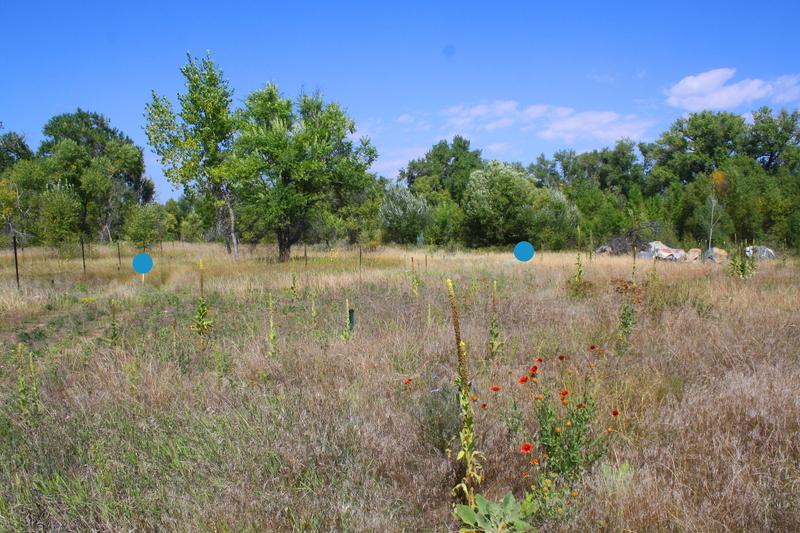 The blue lines indicate where markers have been set up to show where the pipeline would go (down the center) and how wide a swath of plants and wildlife will be affected by the work. Once the pipeline is laid, the land over it will not be allowed to have anything taller than 3 feet growing on it. The areas to either side will be allowed to slowly grow back. The blue dots highlight where the surveyor’s markers are standing on the Brinks property. All of this land will be dug up in order to lay the pipeline. 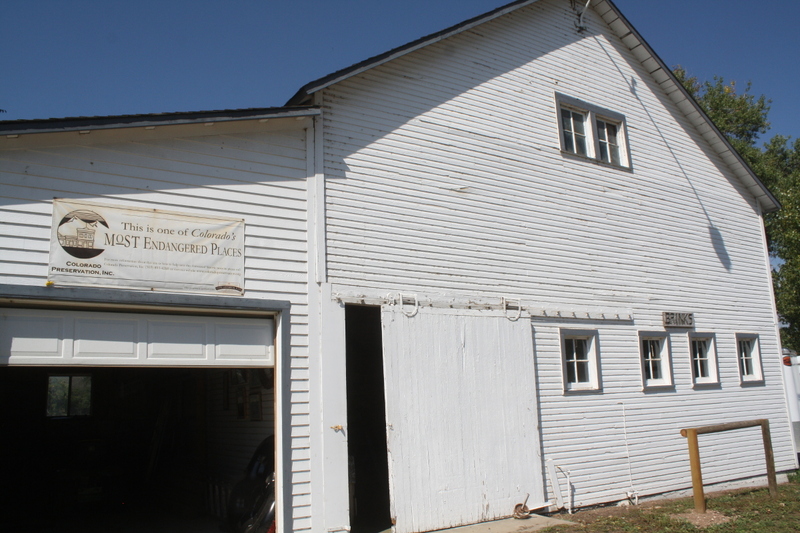 There are two historic districts located on the Brinks property. 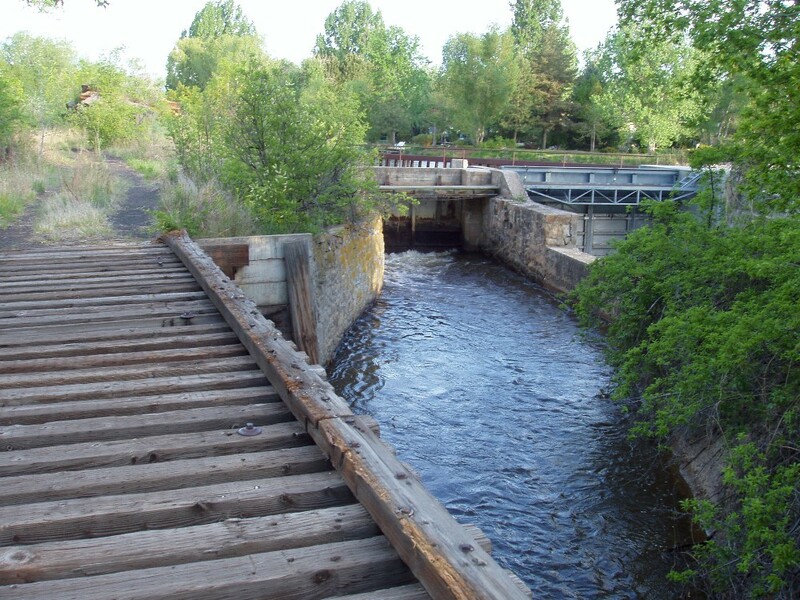 The New Mercer Ditch and County Ditch #2 run through here and on towards the historic Water Works building further down Overland Trail road. And the remains of the Greeley, Salt Lake and Pacific Railway run through the property. Originally the plan had been to build a route through the Poudre Canyon that would eventually reach Salt Lake City. Though that plan was given up before the line was extended up into the canyon, this route was used to bring rock from Stout and other mined goods from the mountains to Fort Collins and beyond. The canals are an important part of the agricultural history of the area and are still used by farms today. In order to protect these historic structures, the Greeley pipeline will have to be laid 40 feet below ground. This will require a tremendous amount of digging, hauling, and mining on the property. Trucks will be rumbling four feet away from a residential structure. 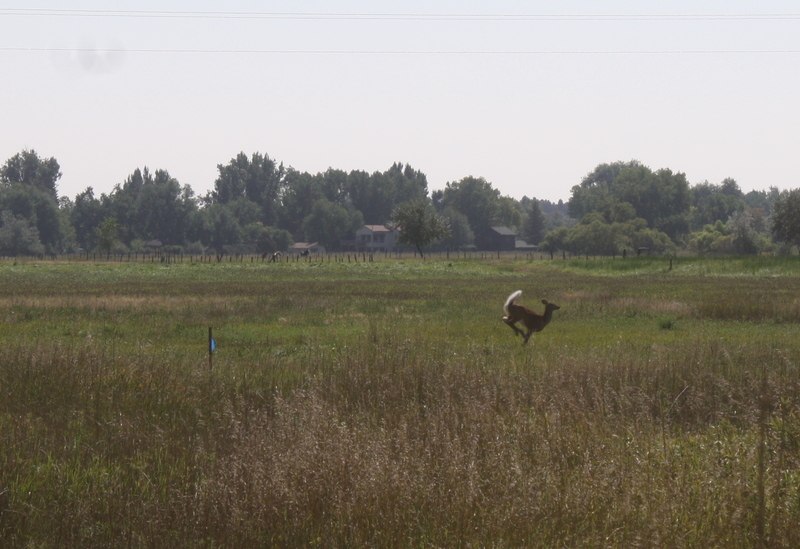 A doe bounded across the field when I visited the Brinks property this week. Who is going to win and who is going to lose if Greeley puts a third water pipeline through this open space area? Certainly the Brinks will lose. What they have valued and protected for decades will get ripped up and they’ll have gravel trucks running back and forth within 4 feet of their house for over a year. But I think the community loses out as well. Rose Brinks gives of herself to the community not only by opening up her property for others to enjoy, but also by taking care of the Bingham Hill Cemetery which I posted photos of yesterday, and by researching and preserving the history of pioneers that helped to found Laporte and Bellvue. It is a shame to the community for a woman who has given so freely of herself to be treated in this way. If you would like to write to the Larimer or Weld County Commissioners to give them feedback about the pipeline that is being designed, you can find contact forms on the Larimer county website and email addresses for the Weld County Commissioners on this contact page.